Middle East Perspectives by Rick Francona: Afghanistan - hasn't the Administration learned anything? Afghanistan - hasn't the Administration learned anything? I was tempted to title this article "Obama runs for the exits in Afghanistan," but thought better of it. Not that it isn't true - it is - but I too believe that we are wasting valuable resources, including the blood of our troops, in a war that now has nothing to do with our national interests. However, it is the way which this Administration is going about the withdrawal that bothers me. It appears that there is absolutely no military sense being applied to the issue. It is hard for me to believe that the generals at the Defense Department are not objecting to this dangerous practice of telegraphing every move to the enemy. Yes, I used the word "enemy" despite Vice President Biden's assertions to the contrary. If a group of fanatical Islamist jihadists are shooting at our troops, they're the enemy. Biden's words: "Look, the Taliban per se is not our enemy. That's critical. There is not a single statement that the president has ever made in any of our policy assertions that the Taliban is our enemy, because it threatens U.S. interests. 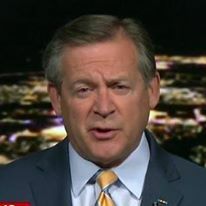 If, in fact, the Taliban is able to collapse the existing government, which is cooperating with us in keeping the bad guys from being able to do damage to us, then that becomes a problem for us." Mr. Vice President, if the Taliban is not our enemy, why are we expending huge amounts of resources and maintaining almost 100,000 troops in Afghanistan trying to kill as many of this non-enemy as we can? If the Taliban is not the enemy, just what are they? If, as you and the President claim, this jihadist group is not a threat to U.S. interests, why are we even in Afghanistan? There may be, just maybe, some reason to the vice president's idiotic statements. First, there were rumors - later confirmed by the Defense Department and the State Department - that the United States is setting up back-channel talks with representatives of the Taliban at a location outside of Afghanistan. The venue turns out to be Qatar, a country known for walking the line between American ally and seeming co-conspirator with countries and causes at odds with our national interests. When the fact that talks were on the agenda became public knowledge, it came as a surprise to the U.S.-recognized (although to call it democratically elected would be a stretch) government of Afghan President Hamid Karzai. If the Administration is going to strike a deal with the Taliban and exclude the Karzai government from the process, the chances that the current "democracy" in Afghanistan will survive are low. As we heard about the talks in Qatar, there were rumors - again later confirmed by the Defense Department and the State Department - that the United States was considering the release of five top Taliban officials currently in American custody at Guantanamo as a "confidence-building" gesture to the Taliban. Building confidence in what - the Administration's naiveté and gullibility? When have the Taliban lived up to any agreement? Not to worry - spokesmen for the Administration declared that any release of Guantanamo detainees would be in compliance with the recent defense authorization act that requires that the Administration certify that any detainees released would no longer pose a threat to the United States. It is hard to imagine how these five can be declared to not be a threat. The government's record on recidivism in regard to previously released Guantanamo detainees is abysmal. Regardless of the logic against it, the government is making preparations to move the five to an undisclosed country in the Gulf region - you can assume it will be Qatar. It's the first step in their release, blatantly disregarding Congressional mandates, clear threats to national security, and basic common sense. I thought this Administration had already defined new limits of American naiveté, but this goes beyond even that. Here's a thought that may not have crossed Mr. Biden's mind. There is an American soldier who has been held by the Haqqani network of the Taliban for almost three years. Is the fate of U.S. Army Sergeant Bowe Bergdahl part of the "confidence building" measures between the United States and the Taliban? If not, why not? Surely we are going to demand something from the Taliban other then oft-made and never-kept commitments? If you are going to be foolish enough to enter into talks with the Taliban, shouldn't you at least get something out before you hand Afghanistan over to the Taliban? Then we come to Secretary of Defense Leon Panetta's description of our strategy in Afghanistan, a description that includes a schedule of when we are going to cease combat operations, the number of troops we plan to withdraw and when we remove all of our troops from Afghanistan. This is exactly the same thing committed to by the Bush Administration in Iraq and foolishly executed by the Obama Administration. Is there no adult leadership left at the Pentagon? Panetta said that American and other international forces in Afghanistan plan to end their combat operations in the country next year, transitioning to a "training, advise and assist" role with Afghan forces until the end of 2014. Curious that both the announcement and timeline coincide with the upcoming presidential election, allowing President Obama to campaign on ending yet another war. If I was him, I would be careful trying to tout his premature withdrawal from Iraq as a success story - every day there is an increase in the violence in the country. Could politics be driving Panetta's announcement? The bottom line here is that what the President, Vice President, Secretary of State and Secretary of Defense are doing is to cause the very thing they claim "becomes a problem for us." Biden's words again: "If, in fact, the Taliban is able to collapse the existing government, which is cooperating with us in keeping the bad guys from being able to do damage to us, then that becomes a problem for us." 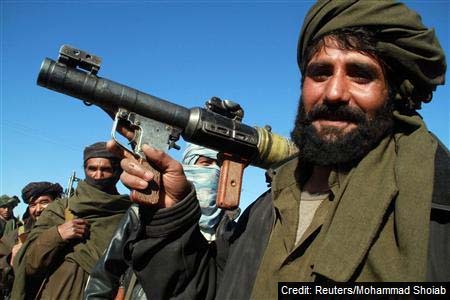 This current course of action will lead to exactly that - the Taliban will take over Afghanistan in 2014 as soon as the last American troops leave. Have we learned nothing from Iraq?